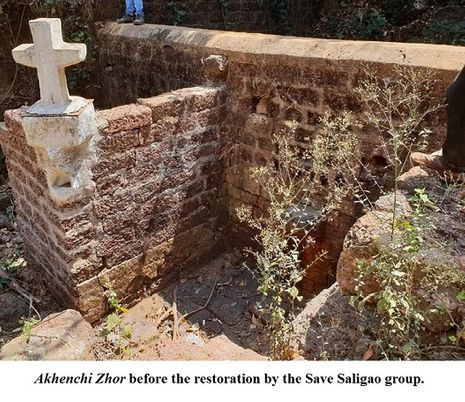 Some days ago Ramesh Ghadi and Mario Cordeiro led around 35 young men to clear and revive the spring at Aquem, Mollembhat, Saligao. This is a story of likeminded people coming together and making a positive change. It clearly shows the power of unified action in the pursuit of truth, justice and protecting our ever fragile environment in Goa. 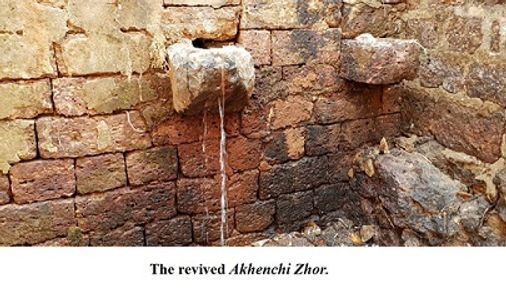 The spring, which is called Akhenchi Zhor, used to be one of the many lifelines of aqua hidden in villages that bring pure water with medicinal properties to the people. However, years of apathy and neglect took its toll; and it has been seven years since the spring ran dry, ending with it a thriving ecosystem of flora and fauna. 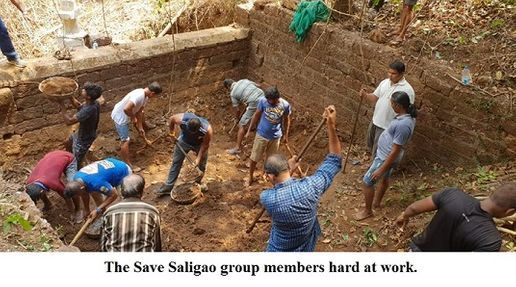 Ramesh Ghadi and Mario Cordeiro headed about 35 youth from the Save Saligao group who, armed with pickaxes and shovels, dug, de-silted, and removed rocks to clear the underwater path to rejuvenate the spring. It took hours of backbreaking toil to fill up one and a half trucks worth of stones and soil. *Photographs courtesy of Ramesh Ghadi and Rupesh Govekar.